Real Estate Investors of Virginia: Your Real Estate Property Taxes Are Too High And Roger Malouf Can Prove It! Your Real Estate Property Taxes Are Too High And Roger Malouf Can Prove It! I bet you just got your over inflated tax bills from our lovely government. We pay them as a tribute for all of the things that they constantly do for us. Just Kidding! 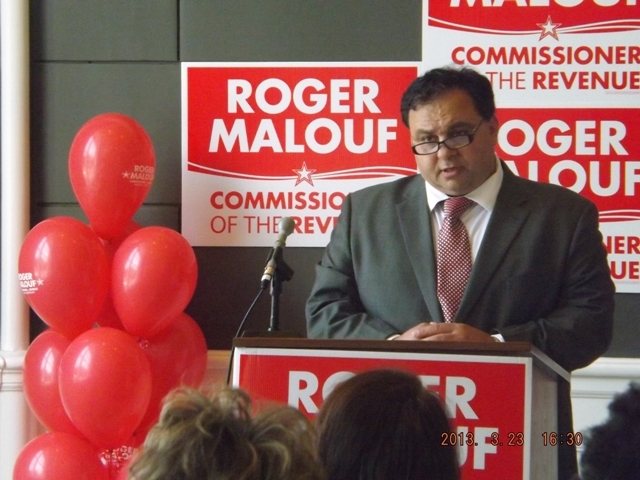 Lets give our hand to Commissioner for Revenue hopeful, Roger Malouf as he is going to bat for us and every single citizen in Roanoke City. Taxes are too high in these trying times. Property values have significantly decreased and the city continues to tax you at close to the same rates they always have. Their greed for your money is relentless. It's time to put an end to it! Roger will have 2 debates coming up regarding this issue. One will be September 25th and the other will be October 5th. Details will be coming. Roger needs volunteers to give away water at the Greenway in Roanoke City. All you have to do is hand out bottles of cold water with information attached. We're trying to get the message out. We need volunteers for week day evenings. Maybe 6:00pm to 7:30 or so. Saturdays somewhere between 11am and 2pm at Willey Drive… And other parks in the city at similar times. Your help is greatly appreciated. In all actuality you will be helping yourself as well as every citizen in Roanoke by giving out water. A nice and easy way to show people you care about Roanoke. Hand out some Vote for Low Taxes water by contacting me and I'll get you in touch with Roger. I don't want to post his email on here for the spammers.